The cover of next week's Radio Times is in no doubt as to the most significant broadcasting event during the seven days of the listing magazine's coverage. 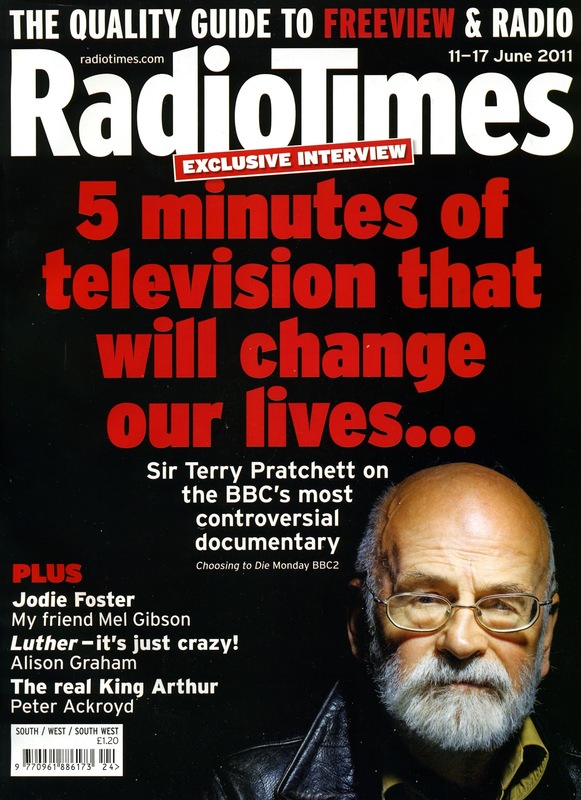 Sir Terry Pratchett peers out from the bottom of this inelegantly designed cover, his stern visage dwarfed by ominous red-on-black typography: "5 minutes of television that will change our lives..."
The Mail article has comments. As of this writing there are a few saying that an actual death is not a fit subject for TV, but none claiming that assisted dying is wrong. 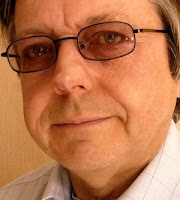 Most say the documentary should be shown, and that assisted dying should be legal. After his impassioned and closely argued plea for the legalisation of assisted dying, delivered as the Richard Dimbleby Lecture last year, Sir Terry was the obvious choice to front this documentary. I look forward to watching it.